General Motors Will Pay Maximum Fine Amid Spate of Recalls - Harrison White, P.C. On the heels of a congressional hearing, General Motors is set to pay a $35 million fine for delaying the recall of 2.6 million vehicles plagued by defective parts – specifically faulty ignition switches. The automaker will pay the maximum federal penalty to the U.S. Department of Transportation for putting off repairs to vehicles built from 2003 to 2011, according to an investorplace.com article. 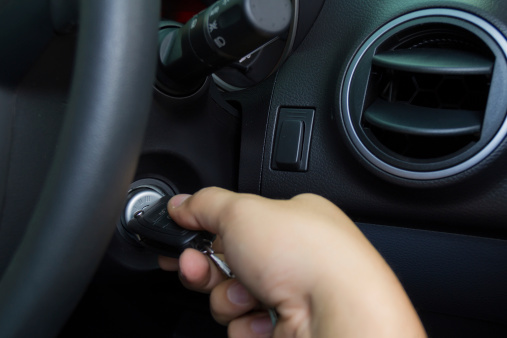 Ignition switches on cars such as the Chevrolet Cobalt cut off while moving, making the vehicle lose power and causing the driver to run out of control and crash. Crash-related deaths involving 13 people have been linked to the faulty ignition switches, which the company knew about as far back as 2001, according to the article. A month and a half after recalling vehicles with bad switches, GM admitted it failed to abide by federal law and report the safety defect to the National Highway Traffic Safety Administration within five days. The company has spent $1.3 billion to repair the bad switches and is in the midst of a recalls on numerous other models to fix faulty parts. General Motors has issued recalls on nearly 19 million vehicles this year in the U.S. and in other countries, apparently in an effort to right the ship after years of trying to avoid blame for the faulty switches, according to a USA Today article. The company went through bankruptcy reorganization in 2009, and CEO Mary Barra was grilled by a congressional committee in March as she tried to explain why the company waited more than a decade to issue a recall on Cobalts and other cars with defective ignition switches. GM announced a recall this week on 2.42 million mid-sized sedans, full-sized crossovers, SUVs and pickups to repair safety belt, air bag, transmission and electrical problems. As it issues recalls on numerous makes and models, GM also must meet monthly with the federal government to make sure it is handling investigations and recalls properly. Experts say this spate of recalls is not likely to hurt vehicle sales as the company bounces back from pre-bankruptcy days. Of course, the best way for companies to avoid bad publicity is to admit a mistake and fix it as soon as possible. By acting years earlier, General Motors probably could have avoided a product liability and wrongful death lawsuit filed by the family of an Alabama woman killed in a crash involving a Chevy Cobalt in December 2013. The family of Aubrey Wallace Williams, a 32-year-old mother of two, contends she died when her car’s ignition shut off, cutting the car’s power and causing her to lose control, according to a Detroit News article. The car ran across the centerline and collided head-on with a logging truck. The motoring public should never suffer because of negligent companies that put faulty parts on vehicles. If you or a loved one is hurt in an auto accident caused by a defective automotive part, contact an attorney experienced with wrongful death and product liability cases. You need advice to determine the strength of your case and deserve to work with someone with experience who can guide you through the legal process.